Anyone who knows me knows that I am not a sports fan… like, I-can’t-tell-which-way-each-team-is-running type of fan. But that doesn’t mean I can’t appreciate some game day food. Chicken tenders are usually at the top of most game day lists, so I tried my own allergy free Honey BBQ Chicken Tenders. Success! Sweet, spicy, tender, and moderately healthy without any frying. In an oven safe saute pan sprayed with cooking spray, begin to sear the chicken tenders on medium heat. Sprinkle with 1 tsp. each paprika, cumin, and salt and pepper. Flip after 3 minutes and sear the other side. Put the tenders in the oven at 375 degrees for about 15 minutes, until done. In a small saucepan over medium low heat, add the dijon mustard, apple cider vinegar, worcestershire sauce, honey, molasses, brown sugar, tomato paste, and rest of the paprika and cumin. Let the sauce bubble, but not boil over. Stir with a whisk every few minutes until the chicken is done. Be sure to stir well to make sure the sugar dissolves. 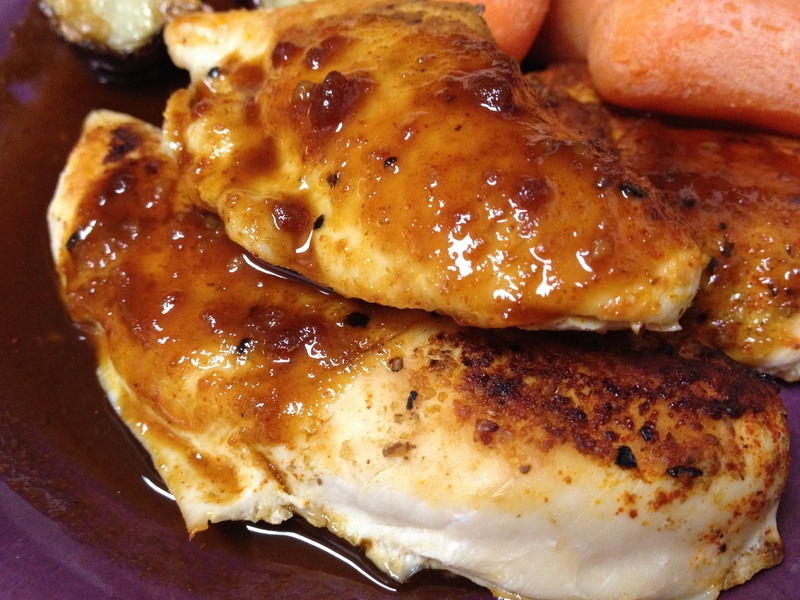 Serve the chicken tenders smothered with sauce!